Safia Abji is currently the Start-Up Advisor for AKDN's Civil Society Initiative (CSI) in East Africa. Through CSI she launched the Scale youth social entrepreneurship program, a series of forums in Uganda, Tanzania and Kenya which address the realities of operating a business in the region while facilitating collaboration with key stakeholders. This approach provides opportunities for young entrepreneurs and organizations to profile their work and cultivate a national community of practice for access to information, training, tools and resources to support learning and business growth. Previous to this role she worked with Aga Khan Foundation East Africa's Yetu Initiative, building program strategies and tools to support the community fundraising efforts of Kenyan civil society organizations. Safia started her career in Canada, working for almost a decade in both marketing and program management for multiple multinational companies including KPMG, Deloitte and Rogers Communications, often in areas of organizational restructuring and redesign. She is also very active in the community, and was the recipient of KPMG’s National CEO Community Excellence Award, HSBC’s Financial Literacy Award and the All-Around Graduate academic award for her contributions. 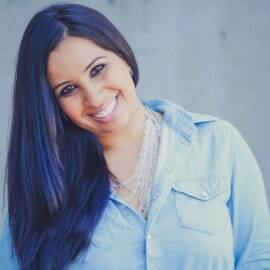 Safia holds a Bachelor of Commerce degree from the University of British Columbia, and is a trained Coach. Outside of work she mentors aspiring entrepreneurs, and provides personal and professional coaching to individuals and through community workshops and speaking engagements.